In past years, I have incorporated German history into my German 2 class, teaching weekly installments beginning with the fall of the Holy Roman Empire (1806) and ending with the Cold War. I have this lecture...yeah, I know, I'm a recovering lecturer with gigabytes worth of cool PowerPoints and video-laced Prezis. I wanted students to really understand the Holy Roman Empire (HRE), but if a lecture wouldn't do the trick, what would? I'm going to describe my process for creating the unit here, so readers can match them with more established PBL protocols. There were two inspirations for the project. 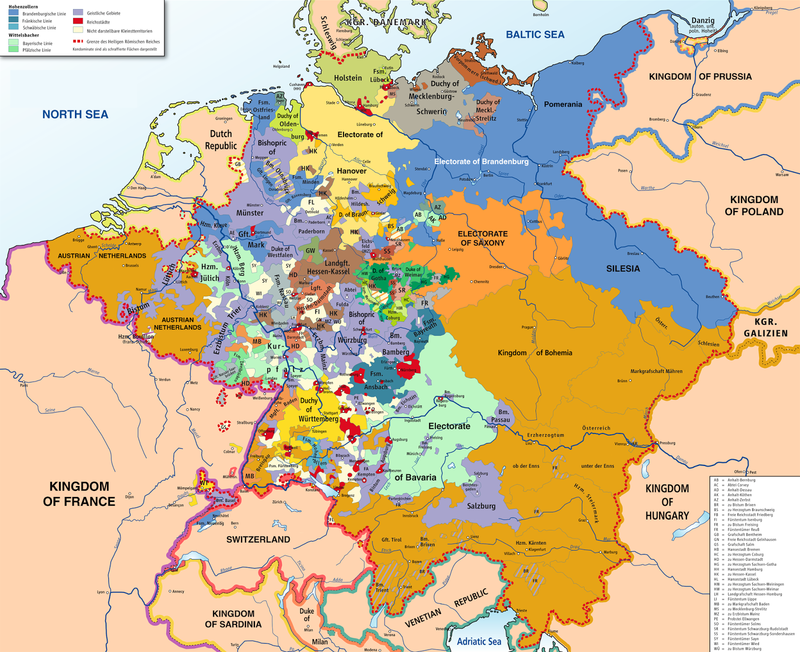 First, I'm fascinated by the bizarre maps of the Holy Roman Empire, which was a federation of large kingdoms like Bavaria, Brandenburg and Saxony, as well as a hundred or more tiny statelets, each with its own herzog, count or margrave. Second, I really wanted students to understand the colossal importance of Napoleon in the unification of Germany. Most people know that the HRE ended soon after his victory at the Battle of Austerlitz--a 1,000-year kingdom, or Reich, dating back to Charlemagne (800) biting the dust. But the ideal of republicanism which swept through Europe in Napoleon's wake led to the nationalism that would first unite Germany in 1870 and later devastated Europe in the early 20th Century. I needed to show students what Germany lost to Napoleon--to gain an appreciation of what the kingdoms were like. 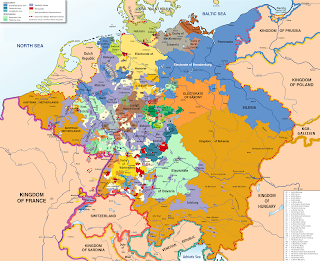 The answer was to turn every student into a Count or Countess--to let them build a connection with one tiny statelet in the old HRE that would (a) endure the 30 Years' War and (b) be extinguished in 1806 or soon afterwards. My source was the table at the bottom-right corner. One by one, I looked through the kingdoms, and set up a challenge for students that looked like this. · Find a family name—or famous ancestor—who ruled your lands. Students set up a Google Doc, shared it with me, and began searching. What was fun for me was the conversations I overheard as students engaged with the sources and learned about their lands. "I have a castle in a lake," one said. Another observed, "I have three castles," before adding, "which one will I decide to live in?" 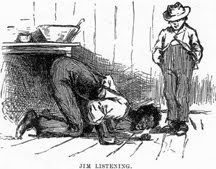 The use of the first person by students engaged in research is a sure sign that a teacher has "got 'em." Students were engaged, looking up famous members of the ruling families and examining portraits. The learning process was soon beyond anything I had expected. If anything, I had planned too little, and students had learned too much. Of course there was the one student who chirped, "I had Satanic orgies!" It was the class's top student, the Princess of Sayn. Damn you, Wikipedia! I tried to downplay the orgies part and encourage her to look forward. Soon she was commenting on the style of princesses in portraits, speculating on the possibility of marrying into royalty someday, and posting pictures of her kingdom's seal on Google+. Looking back, the class got away from me before I could emphasize the research skills I want to add to this. Wikipedia is a key source for this because of the graphics--links to coats of arms and portraits, but I need to have a way to ensure that students have two or more sources--and use MLA to cite them. Also, in my initial looks at students' work, I feel that the graphics weren't balanced with text. This will take some re-teaching, but it will let me emphasize the research skills. I'm pretty sure I can build on students' initial interest to pull this off. I would love to do an activity related to the 30 Years' War. Was the count protestant or Catholic? What armies occupied lands during that terrible time? What was the population lost? The fact is, though, that I really need to keep the focus on 1806. I'm planning to print out templates of family crests next week, which we will decorate and post around the room. One student mentioned that her father had a T-shirt press, so customized T-shirts are not out of the question. We are also talking about a dress-up day. The culminating assessment is up in the air. They will need to cover Napoleon and the Confederation of the Rhine that was set up after his victories. They should also be able to tell their own feelings--as prince or princesses--of Germany's eventual unification. This might open up a discussion on class and republicanism that I can apply to today's political environment. Here's a link to the worksheet. What are your thoughts, dear readers? I have the beginnings of a cool learning experience, but the ends are still up in the air. I'd love to get feedback on this.